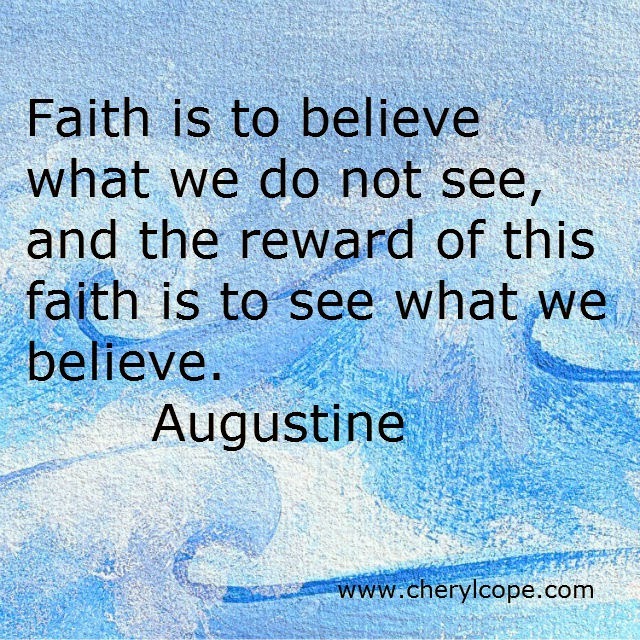 I read somewhere that faith is believing the unbelievable and it certainly feels true. Sometimes I believe I'll never get anything finished but I'm making a concerted effort this year to change what I believe. I'm trying to believe that I can accomplish my goals even if I can't see how right this moment. A large part of that for me is noticing when I am telling myself that "I can't" and then changing that story to an "I can". It's amazing what a difference the way you talk to yourself can make in what you believe and expect!